There are many benefits to cultivating an active workforce – such as increasing employee productivity and job satisfaction, boosting creativity, and promoting a culture of health for all employees – and by embracing those benefits, businesses from around the Richmond region are making wellness and physical activity part of their daily culture, while also earning Active RVA Certification for their innovative programs. Workplace wellness and corporate fitness programs continue to gain in popularity around the country, and many examples of successful initiatives can be found here in the Richmond area. The Science Museum of Virginia is known as a hotspot for learning and innovation, so it’s no surprise that they would get creative with their employee activity programs. Museum staff is encouraged to participate in a variety of activities, such as lunchtime walks, before and after-work running and cycling clubs, biking or walking to work, and wellness seminars; they also have the option of volunteering at the Museum’s ‘Healthy Science’ events. Each hour of ‘Workday Wellness’ they participate in is worth one point, and 25 points equals a $25 gift card to a ‘healthy vendor,’ such as Ellwood Thompson’s Local Market, Road Runner Running Store, and Kneading Therapy massage therapy center. In addition, the Museum also has a Wellness Committee that meets quarterly to discuss programs and plan upcoming events. The Science Museum believes that wellness is about the fitness of mind, body, and spirit, and their programs help all employees, both full and part time, work towards achieving those goals. 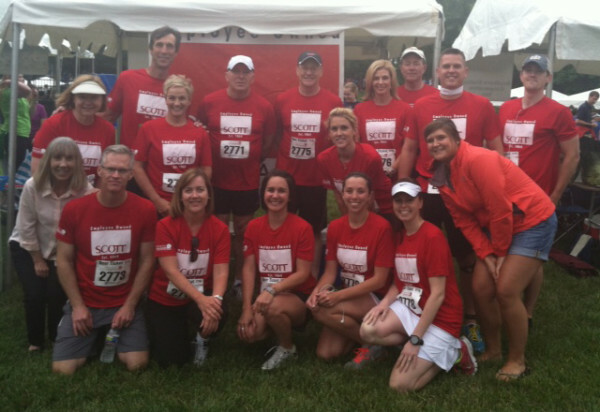 A few miles west of the Science Museum, in the Glen Forest area of Henrico, Scott Insurance has designed two programs, Scott Strong and the ‘Culture Club,’ to give their 40 Richmond-area employees plenty of options for wellness and physical activity programming. The physical activity aspect calls for 30 minutes or more of activity for at least three days a week, and individual employees track their own activity and record it on the Performance Reward website. The company’s on-site fitness center and measured walking loop also help participants meet the physical activity goals during the week. Participating employees who complete four or five of the requirements are eligible for a $50 e-code redeemable for a gift card from a retailer of their choice, while those who complete all six requirements are eligible for a $150 gift card. The ‘Culture Club’ is unique to each office and is comprised of employees who create physical and social activities that also serve as team-building opportunities. In the Richmond office, the Culture Club comes up with new activities each month, which helps promote fitness year round and gives people a chance to interact outside of the office setting. 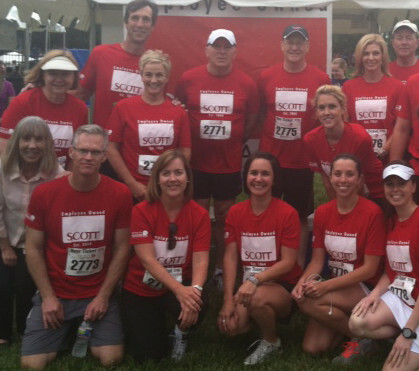 Scott Strong and the Culture Club help Scott Insurance employees focus on all areas of wellness and build stronger relationships with each other and their clients. What these companies have done is unique to them and their community, but most any workplace can learn from these examples. They’ve tried lots of things, and the programs they have are working for them. How can your company implement (or just ‘steal’) some of these ideas or other best practices and put them to work? As the Science Museum of Virginia and Scott Insurance have shown, doing so can have big benefits for you and your employees.